Win up to $2,000 as a team! AYU's Club Connection Reward Program gives club teams the opportunity to raise money for their club by volunteering in the community. AYU will track points throughout the year and will pay out the top teams in the standings at the end of the calendar year. The program will run May 1, 2019, thru December 31, 2019. Please sign up by April 26 to be a part of the whole program. Throughout the year, we will offer other opportunities. These will be shared with your liason. Have a different youth ultimate volunteering experience? Let us know about it and we can figure out a point total for the volunteering. Minimum 300 points to be eligible to receive a payout. Note: This point person will be in communication with AYU throughout the process. Failure to do so can mean being dismissed from the program, so choose someone responsible and who is good at responding! This season, we will be combining our Coaches Socials with tournaments, so after the games on Saturday, come get some apps on us and meet AYU’s first full time employee Jimmy Donnellon! 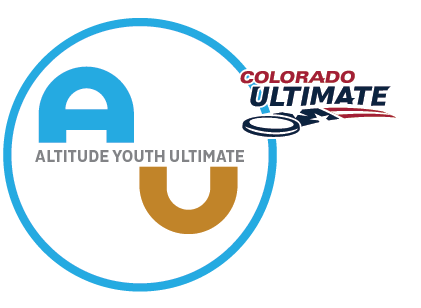 Altitude Youth Ultimate (AYU) is proud to welcome Jimmy Donnellon as the organization’s first-ever Director of Operations. Donnellon will be responsible for implementing, managing and coordinating the day-to-day operations of the organization, developing new programs, leveraging volunteers, and developing resources to serve the Colorado ultimate community. Hey folks, Congratulations to Team 7 Blue who had some really tight wins Sunday for the Winter Indoor League Championship! A and B Bracket Semis, finals, and 3rd place games were sooooo close! I believe every game on Sunday was a 1 point game! All the games could have gone either way! And all were fun to watch! AYU’s winter indoor hat tournaments were a success this winter! Thank you to all the players who attended and played with great spirit and enthusiasm! We had 158 players attend this year, with a total of 242 players between the 4 tournaments. At the last tournament on February 2, we collected 70 items of canned food, which were donated to the Action Center in Lakewood. Thanks to everyone who contributed food!